India is suffering from the worst water crisis in its history and millions of lives and livelihoods are under threat. Currently, 600 million Indians face high to extreme water stress and about two lakh people die every year due to inadequate access to safe water. The crisis is only going to get worse. By 2030, the country’s water demand is projected to be twice the available supply, implying severe water scarcity for hundreds of millions of people and an eventual ~6% loss in the country’s GDP. As per the report of National Commission for Integrated Water Resource Development of MoWR, the water requirement by 2050 in high use scenario is likely to be a milder 1180 BCM whereas the present day availability is 695 BCM. The total availability of water possible in country is still lower than its projected demand at 1,137 BCM. Thus there is an imminent need to deepen our understanding of our water resources and usage and put in place interventions that make our water use efficient and sustainable. (3) identify areas for deeper engagement and investment on the partof the states. 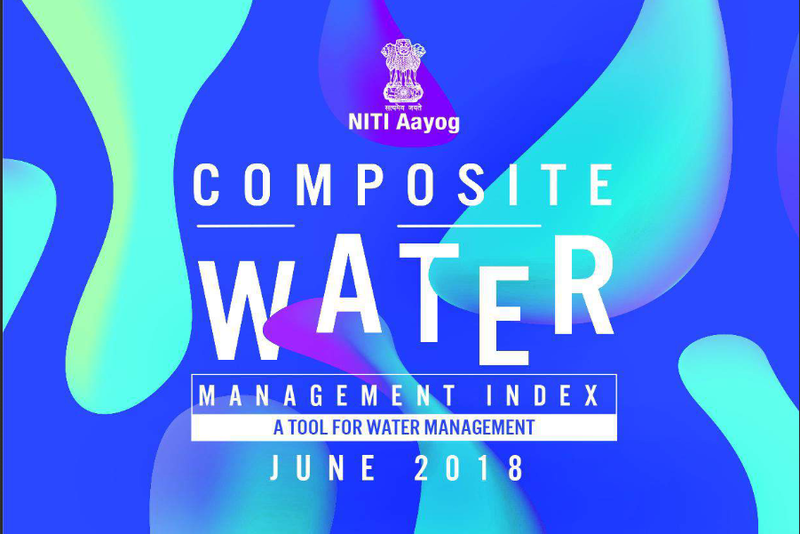 Eventually, NITI Aayog plans to develop the index into a composite, national-level data management platform for all water resources in India. Data and centre-state and inter-state cooperation are some of the key levers that can help address the crisis. Data systems related to water in the country are limited in their coverage, robustness, and efficiency. First, data is often not available at the adequate level of detail. For example, water use data for domestic and industrial sectors is available at only the aggregate level, and thus provides very little information to relevant policymakers and suppliers. Second, where data is available, it is often unreliable due to the use of outdated collection techniques and methodologies . For example, groundwater data in India is based on an inadequate sample of ~55,000 wells out of a total ~ 12million in the country. Finally, siloed information collection and sharing, especially between states, adds significantly to costs and inefficiencies. There is also an opportunity to improve centre-state and inter state cooperation across the broader water ecosystem. Water management is often currently viewed as a zero-sum game by states due to limited frameworks for inter-state and national management. This has resulted in seven major disputes regarding the country’s rivers, involving 11 states, as well as limited policy coordination on issues like agricultural incentives, pump electricity pricing, etc. These issues can be addressed by boosting cooperation at a federal and inter-state level.